Nov. 11, 2015, Coburg, Ore. — Marathon Coach, the world’s largest luxury bus converter and dealer, has partnered with Entertainment Industry Veteran. 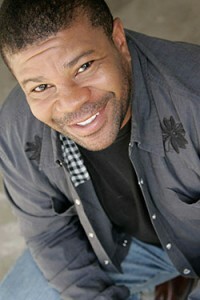 Kelly Perine, American television actor and comedian. Perhaps best known for his regular roles in “Between Brothers,” “The Parent ‘Hood” and “One on One,” Perine has made a home for himself in television and film, appearing in popular shows over the years including “21 Jump Street,” “Seinfeld,” “Mad About You,” “The Hughleys,” “How I Met Your Mother” and “The Bernie Mac Show.” Aside from sitcoms, he’s starred in multiple films including Nickelodeon Films’ “Santa Hunters,” Twentieth Century Fox’s “Gas,” Warner Bros.’ “The Sunchaser” and New Line Cinema’s “Trial & Error.” He also has a lead role in the popular web series “Suburban Sons” from IFC’s Comedy Crib and Above Average. Built on a Prevost chassis, Marathon Coach is already preferred by actors, musicians, athletes and corporations. Born and raised in Pennsylvania, Perine illustrated an innate ability for acting by the age of five. He met Schoellhorn during his high school years at Lake Forest Academy on the North Shore of Chicago, before going on to earn an extensive acting and producing education. Perine is currently collaborating on a short film, “Reservations for Three.” His recent short film, “The Perfect Day” earned numerous festival awards worldwide. Aside from acting, comedy and producing, Perine is also known for his music with KP and The Suited. Marathon Coach, founded in 1983, is the world’s largest and most experienced luxury bus conversion company. Over the past two decades, Marathon has grown its business by producing innovative, quality coaches, as well as possessing an unwavering commitment to after-sale personalized service. The company has produced and sold over 1,200 custom bus conversions worldwide, by far an industry record. Marathon provides service support to their valued coach owners at their sales and service facilities in Oregon, Texas and Florida. For more information about Marathon coach, Inc., please call 800-234-9991 or visit the company’s website at www.marathoncoach.com.